Color is a major factor is making a car purchase. In fact, some are willing to pay extra for a particular color or wait for a few more weeks for their desired color to be available. The words of French artist, Pierre Bonnard, ring true: Color does not add a pleasant quality to design – it reinforces it. 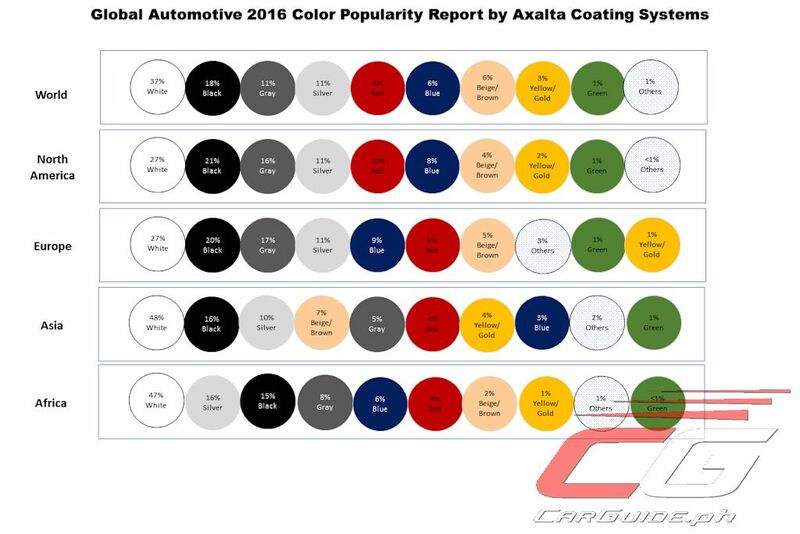 Axalta Coating Systems, a developer of paint for vehicles released their Global Automotive 2016 Color Popularity Report. There, white emerged as the world’s most popular color for the sixth straight year. It leads all other shades at 37 percent. In fact, Asia favors white more than any other region. Black follows at 18 percent. Gray continues its gradual climb and is the world’s third most popular color at 11 percent, tied with Silver. Silver was the world number one in 2011 but has gone down a bit in rank. Interestingly, color preference isn’t steady. For instance, green was extremely popular in the 1990s, but has dropped significantly in popularity in recent times. Meanwhile, today neutral colors such as white and silver have dominated the top tier, mostly due to a connection of these colors to high-tech devices (blame Apple). BASF, a German-based chemical company predicts that deep and non-saturated blues will become the next new trend in automotive colors which would appear in the next 4 to 5 years. According to BASF, these colors reflect societal changes such as young people migrating to urban areas, the continuation of the digital era, and the need to connect with nature. Blue, it seems has a calming effect and offers a strong correlation with nature. In addition, blue signifies the desire for simplicity and transparency—traits which young buyers seem to look for. In developing new colors, inspiration can be from anything—be it furniture, the beach, architecture, artwork, animals, or even fashion. Of course, there are several considerations what color design specialists must take into account in developing a new color: How will special paint finishes affect the overall appearance? Does the color inspiration align with the supplier’s current offerings of pigments and dyes? What are the current trends and are they appealing to the potential buyers? What are the unique characteristics per region? From this piece of inspiration, car manufacturers then work closely with paint suppliers to create the desired color. It’s a process of trial and error with varying mixes of pigments, dyes, and special effect colorants. Car makers actually produce color samples from actual car panels that have been sprayed and cured just as the production car will be, complete with base coat and all. Once approval is obtained for the small panel, a larger panel or even the entire car will be colored to know how it’ll look in actual and under various lighting conditions. In some cases, what may be great in a small panel may not be as nice on the curves and edges of the real car. The whole process may take many months and even years to finish. That’s how critical color is in determining the character or personality of the vehicle. Color designers have their work cut out for them since coming up with a new color isn’t something that they can come up freely. Like any part of a vehicle’s development, they are bound by fixed parameters such as time and cost. Above all though, they do have to respond to customer needs. Ultimately, color designers have to think from the customer’s perspective while using the skills of a professional to realize that vision without compromising. 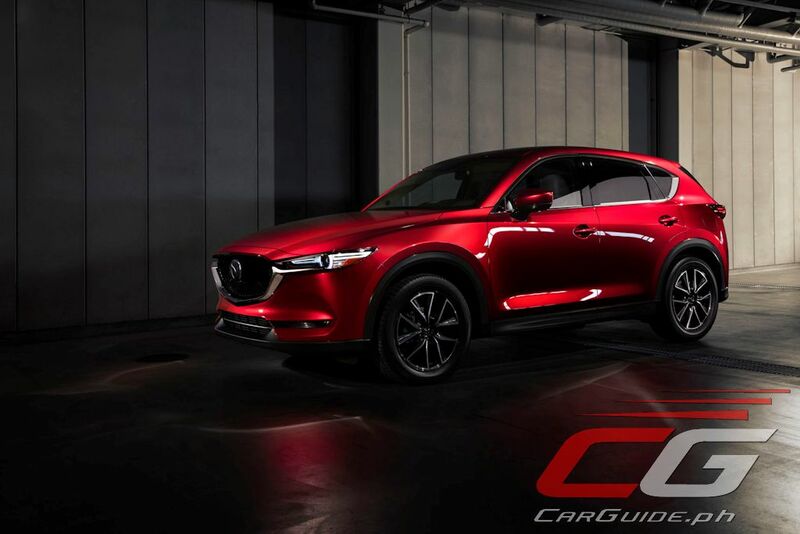 We have to give it to Mazda. The Soul Red Crystal is perhaps the best car paint that we've ever seen. The Passion Orange of the Civic SiR for me comes second place.